If you're a hearing aid user, you'll be familiar with how quickly the batteries tend to run out of power. Here are a few of our top tips for prolonging the life of your hearing aid batteries, whether you're a new or a long-time user. The zinc batteries are activated upon contact with oxygen, but it actually takes a few minutes for this process to occur. For the best results, wait five minutes after removing the sticker before inserting the battery into your hearing aid. Leaving your device turned on overnight will unnecessarily drain the battery. When you remove your hearing aids before going to sleep, remember to turn them off and leave the battery compartment door open. Don't insert your hearing aid battery straight away. Avoid storing your hearing aid batteries in the bathroom or any moist environment, as this can drastically impact their life span. Similarly, keep your hearing aids dry and store them in a dehumidifier case to prevent any moisture from getting through to the batteries. Tossing a spare hearing aid battery into your handbag or wallet might seem like a good idea, but it can actually damage your batteries. If a hearing aid battery comes into contact with other metal objects such as coins or keys it can cause them to short-circuit, according to Healthy Hearing1. Batteries don't hold their charge forever. 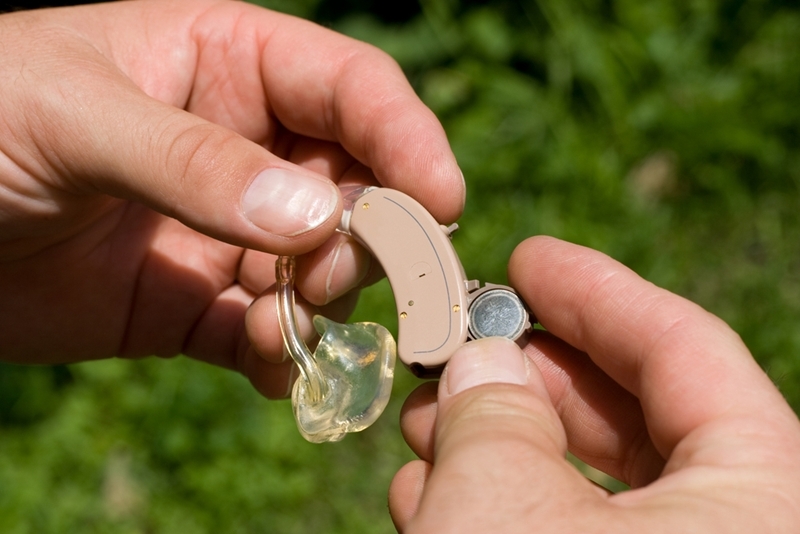 As noted by Audiology Online, hearing aid batteries lose capacity at a rate of approximately 3 per cent each year2. This means that after four years, you can expect your hearing battery to retain up to 88 per cent of its original charge2. If you have any questions about your hearing aids, or you think you may benefit from them, don't hesitate to reach out to your local audiologist. You can book your no cost* hearing check with HEARINGLife by clicking here, or give us a call on 1800 030 502. 1Healthy Hearing, Hearing aid batteries. Accessed April, 2017. 2Audiology Online, Rayovac – Your Hearing Aid Battery Questions Answered! Accessed April, 2017.